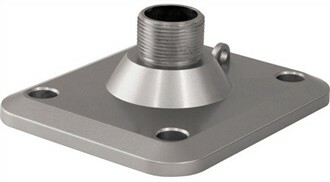 The Samsung STB-300PP is a 1.25” ceiling flange that has been designed for the SPU-3750T/3700 PTZ Dome Cameras that have integrated housing. It is a lightweight design and is compact enough to be handled easily. This ceiling flange is also made with strong materials that are designed for longer lasting use making it an ideal choice for PTZ dome camera support. The Samsung STB-300PP has many exciting features for users of all types. The Samsung STB-300PP is sold as a Brand New Unopened Item.